Local Advantage. Regional Leadership. Global Impact. From “the little college by the sea” to a world-leading, research-intensive university: Dalhousie University’s first 200 years have seen it transform from a local centre of learning to an institution with global impact. Key to that transformation has been Dalhousie’s focus on research and innovation, as economic, environmental, health, societal and cultural shifts have presented us with new opportunities. Today, Dalhousie is a vibrant hub with regional, national and global impact, recognized for the outstanding quality of its research and innovation. The university attracts more than 19,000 high achieving, motivated and engaged students from around the world to its four campuses. 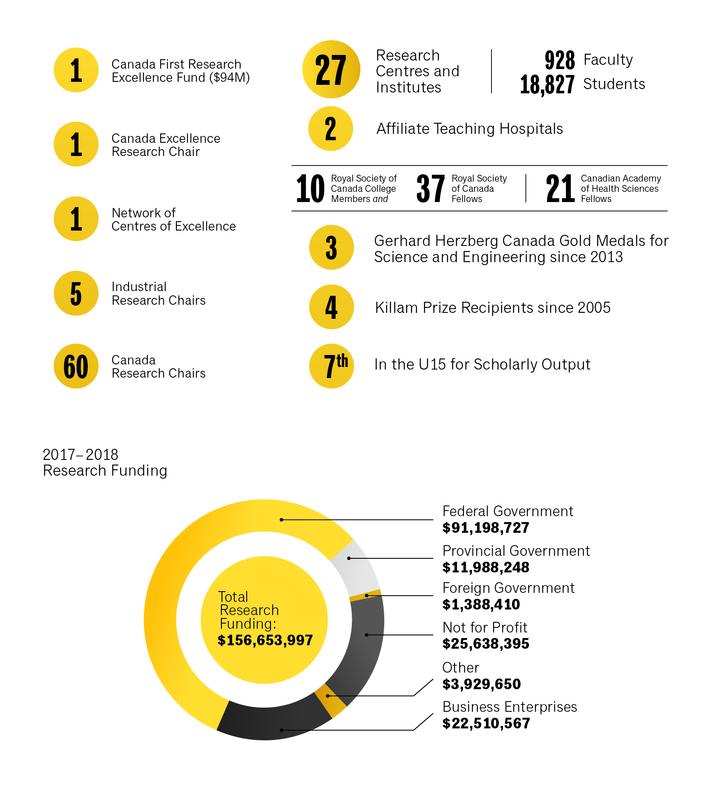 In its more than 190 undergraduate and graduate programs across 13 faculties, Dalhousie provides a unique, interactive and collaborative environment for creating and sharing knowledge, supported by research funding from governments, industry and nongovernmental organizations. As we considered how best to continue to build our research excellence in the years ahead, we knew it was critical to engage our many communities in the conversation. This Strategic Direction is the result of an inclusive and collaborative planning process that engaged more than 400 faculty members, students, staff and external partners in impact sessions, summits, surveys, submissions and consultations. We then engaged individual faculties as the direction developed. The result is Impact Together, Dalhousie’s Research and Innovation Strategic Direction, 2018-2023, which will serve as a guide for the allocation of our research and innovation resources in the years ahead. It is a strategy grounded in discovery, innovation and impact, designed to ensure that our research activities have an even stronger influence on the local, regional and global landscape.